James Harvey, son of James Harvie and Jean Tudhope, was born on 21 Sep 1826 in Meadowhead, Dalziel, Lanark, Scotland, was christened on 8 Oct 1826 in Meadowhead, Dalziel, Lanark, Scotland, and died on 8 Jan 1900 in Westbury, Tasmania at age 73. James married twice, the first time in 1854 to Jean (or Jane) Smellie, who died in April 1859 aged 29, and then to Jane(t) Brownlee (Brownlie) in October 1859. Jean Smellie’s death certificate states the cause of death as “phthisis” which is an old term for pulmonary tuberculosis 1. The Scotlandspeople site records all three of James’ and Jean Smellie’s children as being born in the parish of Cambusnethan which is an agriculturally rich area, also heavily mined throughout the 19th century. Jean Smellie’s family were local and, in the 1841 Census, her father Alexander was a labourer living at Springhead in the parish of Cambusnethan, with 3 girls – Mary (1826), Ann (1829) and Jean (1830). Alexander was born in Camnethan, Lanark, as was his daughter Jean. In 1851 he was a widower living at Crosshill, undertaking agricultural labouring work. He died in 1858. Their third child, Mary, only lived a few months, dying of tuberculosis in December 1858. 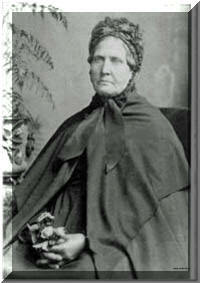 Her mother, Jane Smellie followed her, also dying of tuberculosis, the following April 1859. James and Jane Brownlee’s marriage occurred 4th October 1859 in Cambusnethan Scotland, in the United Presbyterian Church. The marriage certificate states that both James and Janet were ‘farm servants’. The family history is that Jane was “the maid.” Whether she was the maid of James senior (the 1851 census indicates the family was well off enough to have a servant) or living in James and Jane’s house, presumably helping care for the young children, given that Jane Smellie had tuberculosis is unclear. In respect of Jane Brownlee the name is relatively common in the area. Jane’s death certificate states she was 63 years old when she died in 1905 (suggesting she was born in 1842), but her marriage certificate stated her age was 20, meaning she was born in 1839. The 1851 census indicates she was born about 1840. 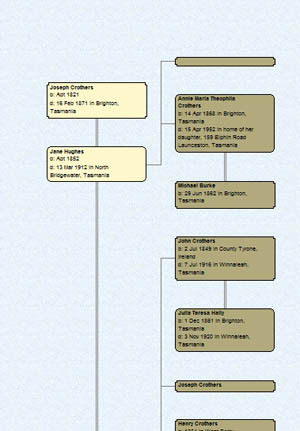 Jane’s father was Thomas Brownlee, born in Fife in 1801 and, in the 1851 Census, a coal miner, though the marriage certificate records his occupation as a ‘house wright’ or joiner in modern English. His died 25th December 1869 in Cambusnethan. Her mother was Elizabeth Johnson, but by 1851 she had already died. James, Jane and the two boys from James’ first marriage left for Van Diemen’s Land aboard the Indiana, which departed Glasgow on 14th December 1859 bound for New Zealand via Australia – Family Bounty Ticket number 26. The captain of the ship was James McKirdy. The bounty was 48 pounds,19 shillings. It’s believed that the bounty was paid by the St Andrew’s Society which sought to attract people of good character to immigrate to Tasmania by financing their emigration. The ship’s manifest shows that James was a “ploughman.” James and Jane are listed as “Presbyterians who can read and write.” Interesting, on the marriage certificate, Jane is recorded as making a mark, whilst James is not, thereby confirming at least his reading and writing skills. Their place of origin was recorded as Wishaw, Lanarkshire, Scotland. 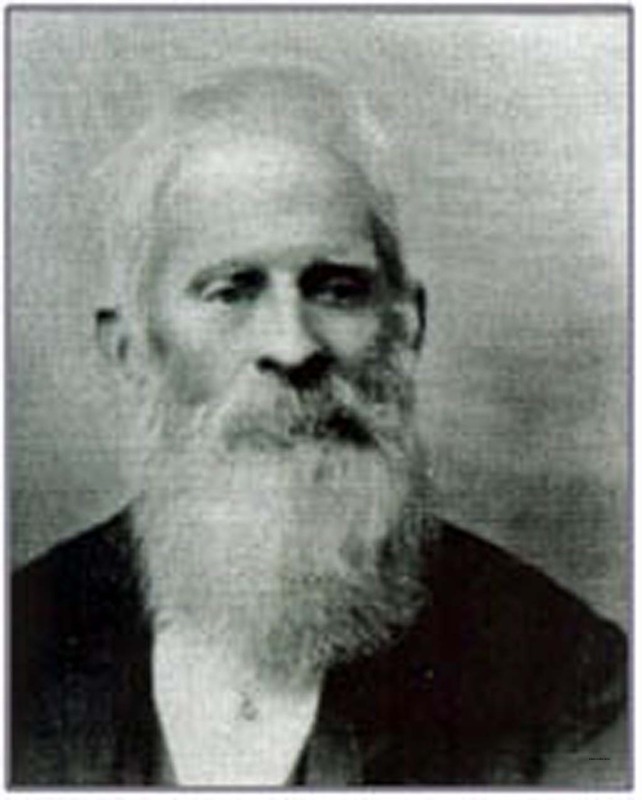 James and Jane Brownlee’s first child was born at sea in February 1860. The family story is that the haste of their marriage caused a family fallout, which possibly was the motivation for emigrating. Certainly James would have been aware that James Hervie relied on Janet and her husband William as the ‘principal’ family members on the farm. On both sides of James family, relatives were firm Presbyterians, many having leading roles in the Church. Young James behaviour would have been scorned. It is certainly the fact that both of James parents were alive in 1859 but, as neither of their names on the marriage record, gives this story some credence. James was recorded in James Hervie’s 1860 will as an equal beneficiary of the estate with Mary, Janet and John’s children, so maybe there was no family breakup or James Harvie had forgiven James for his transgression. James was, by 1859, the only living son so would have been the inheritor of his father’s property by tradition. The fact that the property was left to a son-in-law, does indicate conflict or a lack of confidence by James senior. Also on board were William Swanston Young and his wife, Sarah Oliver who had married on 11 Nov 1852 in Lamberton with three children. Later, children of the two families would marry. The journey was not without incident. Jane had her first child, Elizabeth, whilst at sea. The ship’s position was logged at latitude 4’50o N and longitude 25’50oW (approximately mid Atlantic on the latitude of Suriname in South America). The ship’s log records “at 3:00am Jane Harvey, wife of James Harvey, gave birth to a daughter.” The entry is signed by Capt. McKirdy and the ship’s surgeon John Wilmshurst. They arrived in Launceston, Tasmania on 24th April 1860. Another story is of a young James (the third) opened the front door in their house in Westbury and when the visitor asked for his stepmother, James replied “She is nae me mither, she’s Jane the maid!” He was obviously an angry young boy on that day. James stayed with his agriculture experience and farmed in the Westbury district, in an area called Queenstown, which was located on the eastern end of Westbury towards Hagley (Veterans Row, Pensioners Row, Five Acre Row, Ritchie St) and was an area where, in the 1850’s, military pensioners settled on 5 acre allotments in return for 12 days service in the State Militia. After 7 years, if duties were fulfilled, title passed to the pensioner. James is thought to have lived on an allotment in Ritchie St, possibly an allotment centred on a relatively grand house at number 264 called Elbony, built circa 1880. 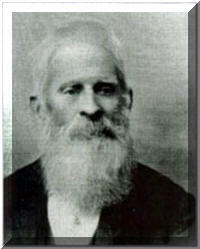 James died at his home in Queenstown on Sunday, 8th January 1900 of influenza bronchitis. His occupation was recorded as ‘farmer’ in his death certificate. Jane died 9th July 1905. The following death notices are from the (Launceston) Examiner. Mrs Harvey sen, well known in the Westbury district, died on Sunday night. She had spent several months of wearisome illness at the home of her daughter, Mrs. David Crowden (Elizabeth), Chudleigh, but she bore it with Christian fortitude. Great sympathy is felt for all the family. Her ‘wearisome illness’ was hemiplegia, which is total or partial paralysis of one side of the body that results from disease of or injury to the motor centres of the brain. They are buried in unmarked graves in the Hagley Cemetery in Tasmania, next to the graves of their son John and his wife Emily Bratten. 1 Tuberculosis is something not thought about today. But 19th century Victorians were frighteningly aware of the symptoms - the flushed cheeks, the bright eyes, fever, loss of appetite, and most of all, the cough. It was feared, but regarded with a peculiar resignation because it was so unavoidable. It was dreaded, but at the same time romanticized. It was a disease that reflected the culture of its time: the victim slowly, gracefully fading away, transcending their corporeal body, their immortal soul shining through. Many at the time believed TB produced feelings of euphoria referred to as "Spes phthisica" or "hope of the consumptive". It was believed that TB sufferers who were artists had bursts of creativity as the disease progressed. It was also believed that TB sufferers acquired a final burst of energy just before they died which made women more beautiful and men more creative.